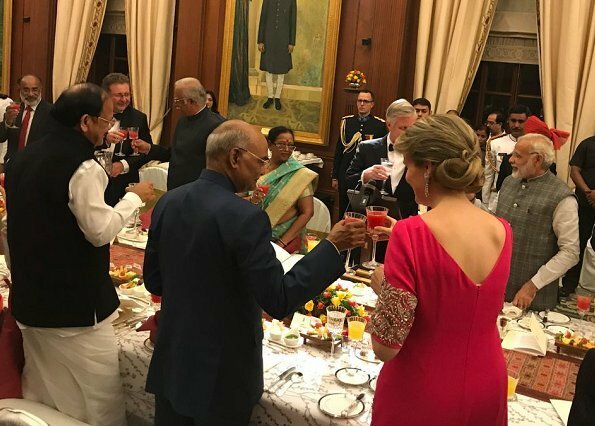 In the evening of November 7, India's President Shri Ram Nath Kovind and his wife Savita Kovind hosted a State Dinner in honour of Queen Mathilde of Belgium and King Philippe of Belgium at Rashtrapati Bhavan, the Presidential Palace in New Delhi. 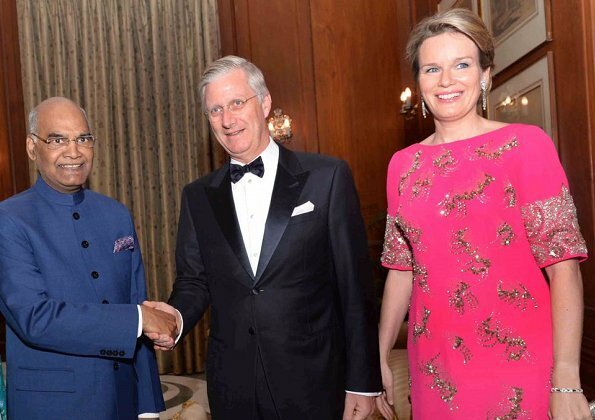 King Philippe and Queen Mathilde is currently making a 7 days state visit to India. 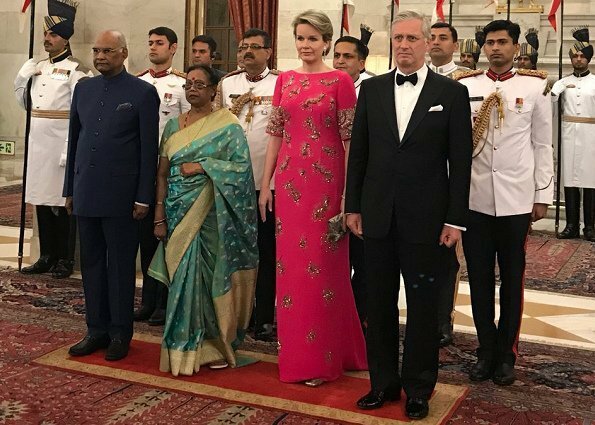 dress in india colours, beuatifull Queen Mathilde. This gown is much, much prettier on the queen than that pale pink 'mother-of-the-bride' affair she wore the day before. It looks sleek and sophisticated and the more vivd color suits her better. Absolutely agree. 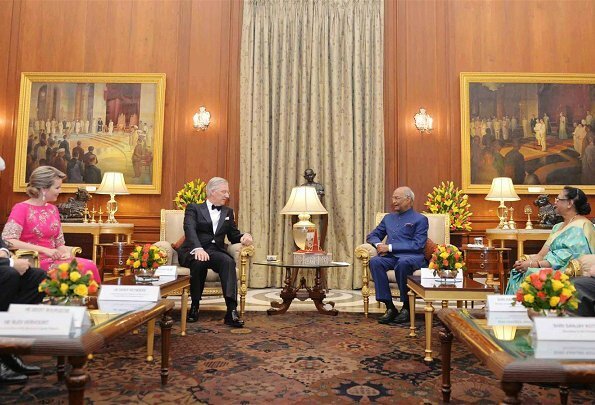 And there is a nod to the colours and embellishments of a sari, which is charming. Beautiful dress. Perfect hair. 10 out of 10. Queen indeed. 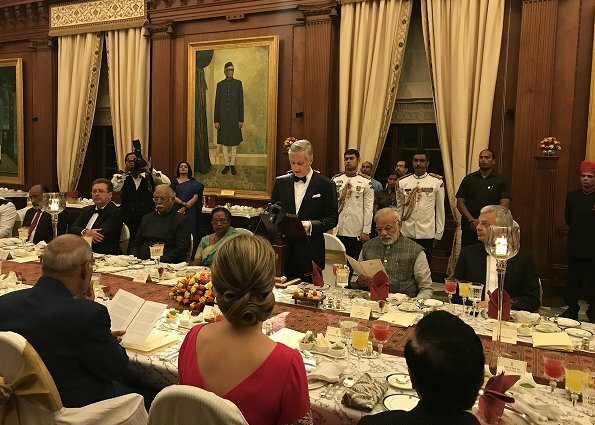 Perfect dress to colorful India. Ditto on d dress comments.... Gorgeous color, style, n hair.